Back in November, the Occupy Wall Street movement inspired “Bank Transfer Day,” a day for Americans fed up with the actions of the nation’s biggest banks to move their money to a different institution. Initial estimates of the impact of Bank Transfer Day placed the number of accounts moved at around 600,000, but later estimates revised that downward to around 200,000. Bank Transfer Day and the Occupy Movement have received tremendous attention, and for the first time we have market research data to measure the impact on the financial services industry. Javelin’s research estimates that 5.6 million U.S. adults with a banking relationship changed providers in the past 90 days. Of those switchers, 610,000 US adults (or 11% of the 5.6 million) cited Bank Transfer Day as their reason and actually moved their accounts from a large to a small institution. Javelin noted that this pace of account closing is three times the normal rate. While 11 percent of people moving their accounts cited Bank Transfer Day, one quarter said they moved their money because their old institution charged too many fees. Account closures at Bank of America, the nation’s second largest bank, actually jumped 20 percent in the fourth quarter of last year, potentially driven by the bank’s ill-fated decision to implement a $5 monthly fee for its debt cards. The cliché tells us that you can’t judge a book by its cover. Agreed. But sometimes you can tell a lot about a book by the blurbs on its cover (and just inside the cover). Such is the case with Simon Johnson and James Kwak’s 13 Bankers: The Wall Street Takeover and the Next Financial Meltdown, this month’s HuffPost Book Club pick. You know a book is onto something when, even in these politically polarized times, and dealing with a hot button issue like financial reform, it features side-by-side praise from both Jim Bunning and Alan Grayson. Yes, that Jim Bunning, who says that the book “makes it clear why ending ‘too big to fail’ and reforming the institutions that perpetuate it… are essential for our nation’s future economic prosperity and, more fundamentally, our democratic system.” Clearly, the need to reform our out-of-control financial system is not a right vs. left issue. (Full disclosure: I also did a blurb for the book). The book is also incredibly timely, with the Senate gearing up for a floor debate on Sen. Dodd’s financial reform bill when it returns from Easter break. While offering an in-depth explanation of the factors that led to the financial crisis — a crisis Johnson and Kwak prove beyond any doubt is not over — 13 Bankers has the immediacy and of-the-moment feel of a blog post, the sense that this is happening now. Your social networking chit-chat could have an impact on your credit – specifically on whether banks think you are worthy of a loan. Creditors are checking out what you post to your Facebook and Twitter accounts. They’re checking out who your friends are and who the people are in your networks. How long until health insurance companies do the same? Pretty much everything you and your network reveal may be compiled, including status updates, “tweets,” joining online clubs, linking a Web site or posting a comment on a blog or news Web site…. Another reason credit issuers are looking to this data is to reduce lending risk. Social graphs allow credit issuers to know if you’re connected to a community of great credit customers. Creditors can see if people in your network have accounts with them, and are free to look at how they are handling those accounts. The presumption is that if those in your network are responsible cardholders, there is a better chance you will be, too. So, if a bank is on the fence about whether to extend you credit, you may become eligible if those in your network are good credit customers. 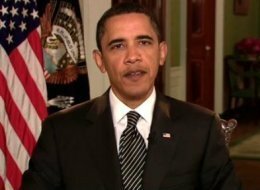 WASHINGTON – President Barack Obama on Saturday pitched his proposed tax on banks to recover the cost of bailing them out during the financial crisis, saying if they can afford billions more in bonuses, they can pay back the taxpayers, too. The banks and Republican lawmakers oppose the tax, which Obama announced this week. “We’re going to pass this fee into law,” the president said in his weekly radio and Internet address. Congress must approve the tax and that was not assured, given the immediate opposition from Republicans. Democrats also appeared in jeopardy of losing their 60-vote majority in the Senate, with Democrat Martha Coakley in an unexpectedly close race against Republican Scott Brown in Massachusetts to fill the seat held for decades by the late Democrat Edward M. Kennedy. Brown opposes Obama’s bank tax. Obama was heading to Massachusetts on Sunday to campaign for Coakley. The White House’s decision to use the weekly address to speak about the proposed tax instead of the U.S. response to the suffering and devastation caused by the earthquake in Haiti suggested one line of attack Obama would use against Brown on Sunday. 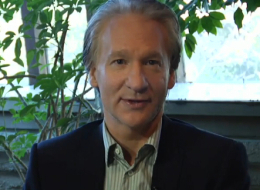 On the eve of the Financial Crisis Inquiry Commission’s first day of hearings, where the CEOs of four of America’s largest banks are scheduled to testify about the banks’ roles in the financial meltdown, Bill Maher explains why you should move your money out of a “too big to fail” bank and put it into a local community bank or credit union. Visit MoveYourMoney.info to find a community bank near you. Click here for answers to frequently asked questions about how to move your money. Did Organized Crime ‘Rescue’ Banks? The vast majority of an estimated $352 billion in proceeds of organized crime, mostly from the drug trade, was funneled through the global banking system during the financial crisis of the past two years, and in some cases, the money rescued banks from collapse, says the head of the UN Office on Drugs and Crime.